Business process management is the basis for all initiatives like SCM, CRM, ERP, or business intelligence. New component and internet-based software architectures and web services require a solid process management to deliver the expected business success. However, many organizations still struggle to find the right approach to business process management. IDS Scheer delivers with ARIS the framework to meet this challenge successfully. IDS Scheer has successfully applied its ARIS business process management approach at thousands of organizations worldwide such as Intel, Siemens, or the US Navy. This book presents international case studies in various manufacturing and service industries as well as the public sector. 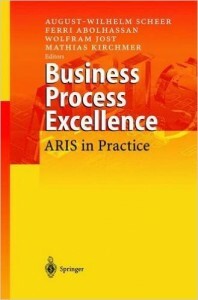 It shows how to achieve business process excellence in practice.